Japanese movies can be somewhat hit and miss. For all the incredible work from Studio Ghibli or Kurosawa there is the genuine (though enjoyable) junk of the likes of Godzilla and every samurai under the sun. Television movies are a generation behind the rest of the world in visual quality and TV programs that equal the likes of CSI or NCIS (or X-Files or Twin Peaks or….) are utterly unknown. But animation is where the country excels and if you're in the mood, here are three. 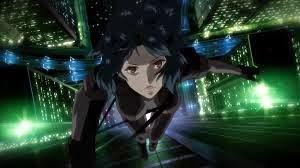 Ghost in the Shell is a futuristic world where everything is controlled by a shadow like government and the cybernetics in individuals. The ghost in the reference is a random piece of computer code that is infecting the control systems but ultimately is freeing them. Has to be said, not for the children. 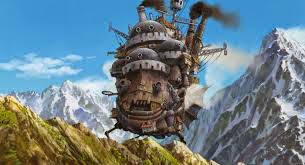 Howl's Moving Castle comes from the power house of Studio Ghibli. And very much for the kids as well as the parents. It's full of magic but also has a dark side referencing the destruction brought by war and personal failure. Ultimately an incredible, inspiring film. 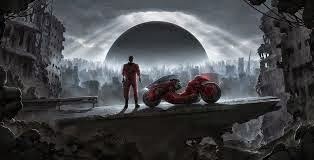 Akira somewhat defies explanation but is an astonishing experience. Post WWIII when Tokyo has been destroyed it follows the hero Tetsuo and his relationship to Akira as he tries to rebuild his world. This one is for the late Friday night and a glass of wine. There are many, many more where these came from but the central theme is always the visual imagination that has defined them. Japan may be running behind in live action films (Kurosawa excepted) but when it comes to animation, it's up there with the best.